Stan Andersen works with earthenware clay and is concerned primarily with making utilitarian ware for the table and kitchen. 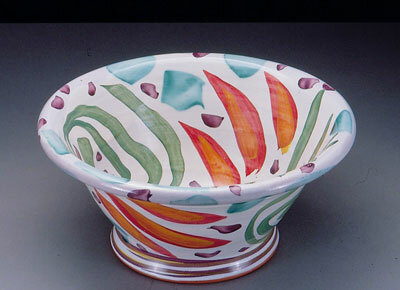 He uses the majolica technique in decorating pots, and fires them in an electric kiln to cone 03. 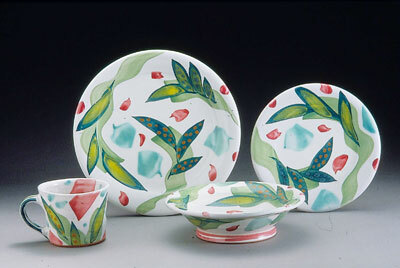 He wants his pottery to become part of the daily flow on domestic life, to contribute to the enjoyment of preparing, serving, and presenting food. 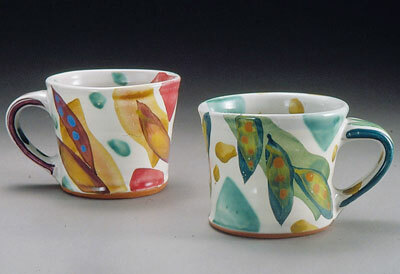 He is concerned with the expression of line, color, patterns, and their relationship to the pottery forms. 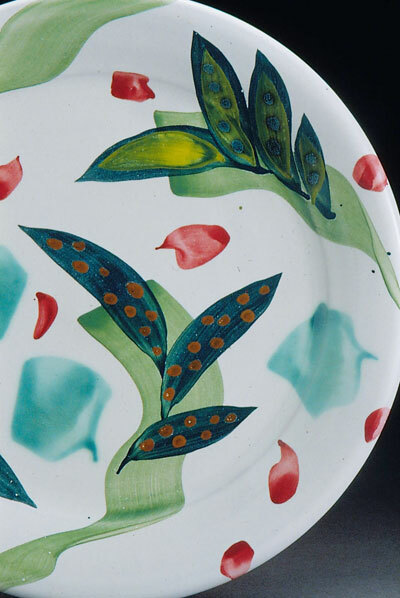 Because he wants his pots to be used daily, he doesn't want to give the impression that the maker has painstakingly labored over the decoration. He paints quickly and directly on the raw glazed surface, creating liquid flowing lines, splashes of color and overlaps of brushstrokes. His hallmarks are exuberance and casual spontaneity, rhythm and grace.